bigheadtaco.com: Whale found on a Trash Bin? 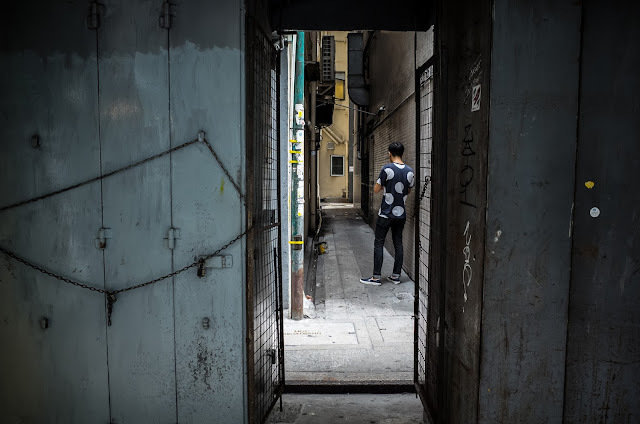 I love traveling through backstreets and alleys to find things to take pictures of. 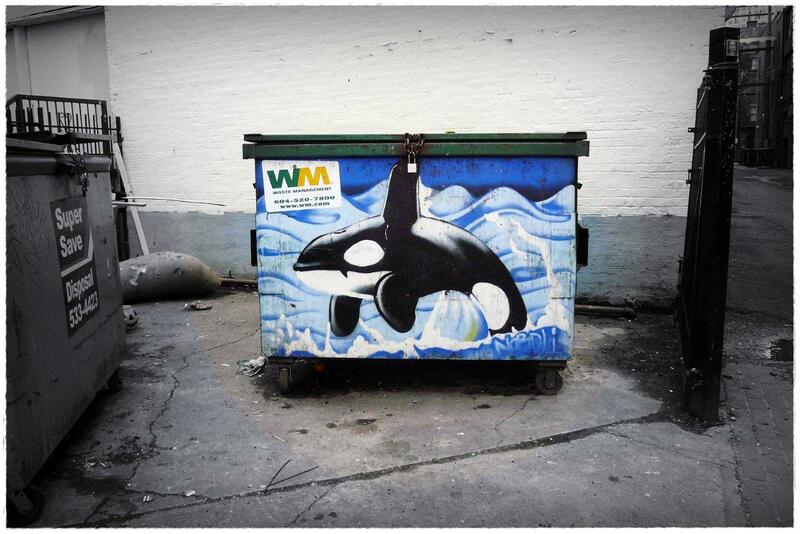 I noticed this hand-painted dumpster in a downtown alley. Since the brand sticker is on top of the painting, I'm to assume they either commissioned it, or found it too beautiful to paint over. Either way, don't you think all dumpsters should have paintings on it? Or at least a vinyl wrap, like they do now with post boxes and other ugly public devices and monuments? Another way to beautify our environment, even if it's just the alley.